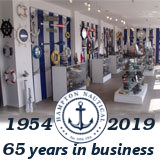 The Hampton Nautical Floor Standing Admirals Admirals Antique Brass Binoculars 62". Binoculars, complete with a rare and expensive shisham wooden tripod stand, is the perfect gift for the explorer in your family. This is a functional nautical décor item and looks great resting on a wood desk or between books on a wall cabinet. The picture of this amazing marvel does not do it justice. 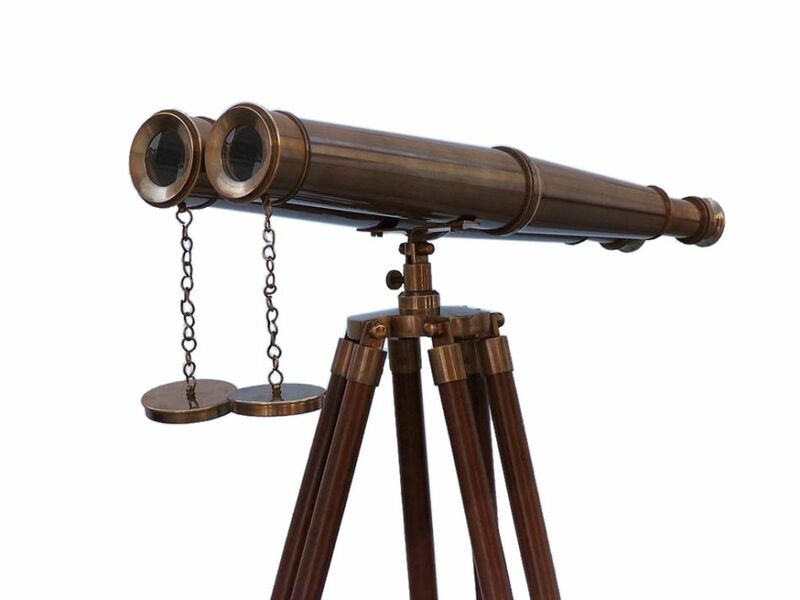 The Antique Copper double scope enables its user to use both eyes to focus an object while keeping the binoculars steady with the stand. These binoculars are capable of reaching up to 12x magnification and can be focused using a knurled focusing ring in the center of the binoculars. The wooden tripod stand features polished and smooth rounded wood stands each with antique copper fittings and a screw release to let you adjust the height. An antique copper chain holds the three stands together so the binoculars hold their position.